This albergue was everything that I have read about and more. I am so glad I walked the extra kilometers today. Lovely decor, good music, cozy rooms, absolutely delicious dinner, and a very friendly family that manages the place. I have food allergies and they helped me to find delicious options for their fun, fancy communal dinner. 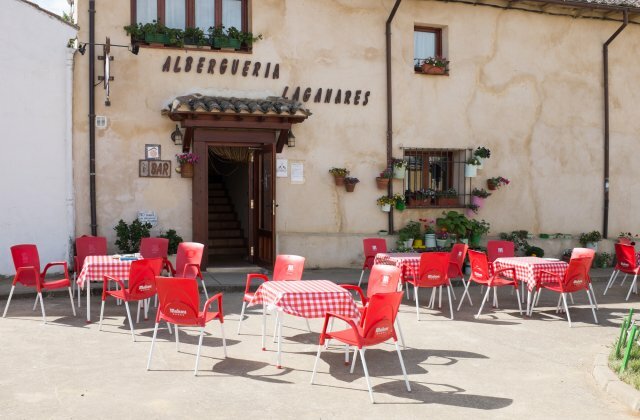 Wonderful albergue. Definitely recommend staying here. Very clean and homely. Food was great too. Every bed had a plug point. The bar played great music too.